London-based indie rock quartet The Boxer Rebellion are pleased to announce details of their new album titled Promises. Co-produced with producer Billy Bush in Los Angeles, CA, and being released on May 14 through the band’s own Absentee Recordings label, Promises is the uplifting and cinematic follow-up to the critically-acclaimed The Cold Still, and will be available to pre-order from Tuesday, April 2. 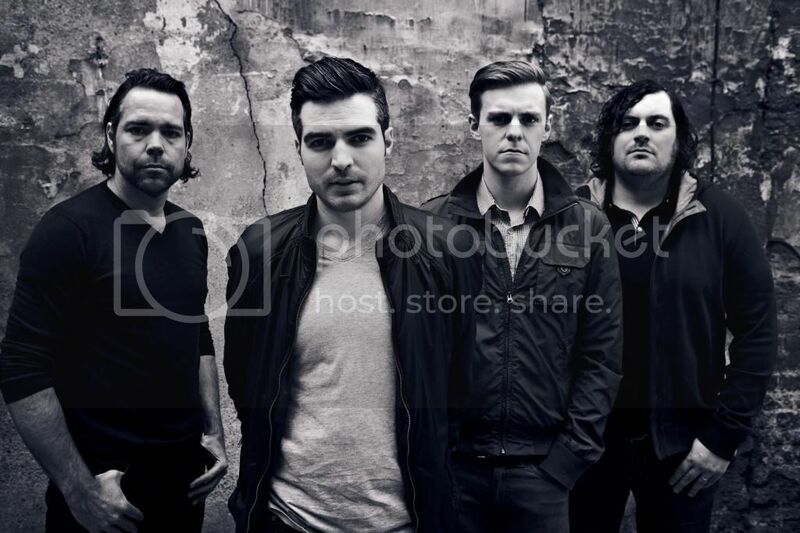 The Boxer Rebellion took to their London rehearsal space and transformed it into a recording studio where the songs for Promises would eventually come together over the last 18 months. Moving away from the more analog and darker soundscapes that enveloped the band’s previous album, Promises is a significant step in a different direction for the London four-piece – a hi-fi, soaring piece of work that truly delivers on the band’s epic, signature sound, and individual skill as musicians. From the retro-glossiness of the album’s opener, “Diamonds,” to the wall-of-sound that is “Fragile,” to the towering beauty of “Low,” “New York,” and “Dream,” Promises presents itself as an evolution in aesthetic – diverse in soundscapes but singular in grand ambition – for a band that continues to push and explore its creative ability with each new release. As a first glance into the new album, the band today officially released their music video for new single “Diamonds.” Shot by British directorial duo Justin and James Lockey (aka Hand.Held.Cine.Club), the film stars lead singer Nathan Nicholson suffering a dead-end job and finding momentary escapism by way of a sudden free-fall flight through the air. Shot in the North of England, the team built an office space inside an empty shell of a building, worked with free-base skydivers in sub-zero temperatures, and plunged into ice cold waters to capture a stark and emotive film fitting to the song’s message. The Promises North American tour will see the band’s immense live show re-worked from the ground-up, starting in Montreal on May 21 and hitting numerous cities for the first time ever, including Edmonton, Calgary, St. Louis, and Pittsburgh. The band will also play Neptune, Seattle (6/2); Fillmore, San Francisco (6/5); Avalon, Los Angeles (6/7); Metro, Chicago (6/15); and Webster Hall, NYC (6/20). A complete list of tour dates is below, and support comes from much lauded UK-based band Fossil Collective. The band have also announced their largest UK headline show to date, a performance at the legendary venue The Forum on October 11. Tickets are on sale now via the band’s Web site and will be on general sale this Friday, March 29.